Finkbine Golf Course is the University of Iowa Athletics Department championship golf course and is home to the Men’s and Women’s Collegiate Teams. Named for W.O. 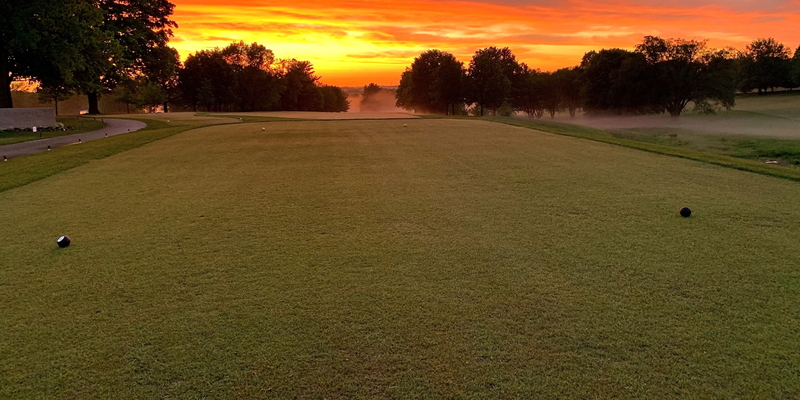 Finkbine, who donated the land to The University of Iowa, this scenic golf course, from the championship tee, stretches over 7,200 yards of rolling Iowa terrain, and plays to a par 72 with a USGA course rating of 74.6 and slope rating of 134. Finkbine has been the home to numerous NCAA tournaments. including the 2002 Big Ten Men's Golf Championship and the 2003 Big Ten Women's Golf Championship. Finkbine has also hosted the Amana VIP Classic, and 1991 Hogan Tour, and 1992 and 1993 Nike Tour Hawkeye Classic tournaments. More recently, the course has hosted the 2010 Iowa State Women’s Amateur, 2013 Iowa Match Play and 2014 Iowa State Men’s Amateur.